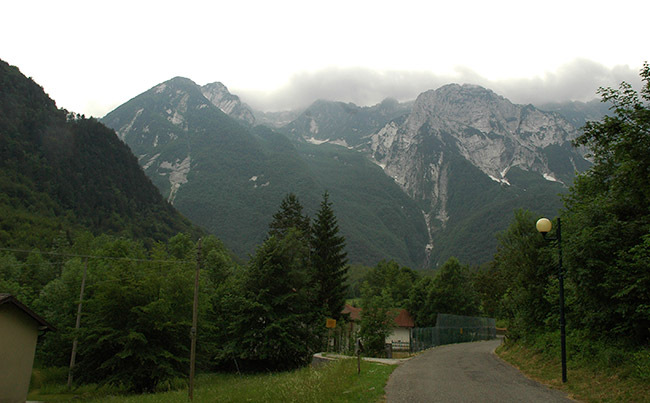 The three peaks of the Monti Musi mountain chain stand out from a horizontal ridge at about 1800 metres above sea level. They are: Mount Cadin (1818 m), Musi Peak(1878 m) and Mount Zaiavor (1816 m). The peaks stand high over the Val Resia valley. On top of these mountains you have a 360° view of the Julian Alps, the Carnic Alps, the Eastern Dolomites and the Friulian Plain.